Video game lovers are well informed about all the newest games, as technology has worked into our lives more than ever. Grand Theft Auto has been gathering many fans as time goes by but Saints Row has been right behind them all the way. Grand Theft Auto strikes repeatedly with their revised versions being introduced every now and then and takes the crown on being the best for the following reasons. Even though graphics have always been something that Grand Theft Auto excels at, the latest version 4 has amazed everyone yet again. The almost real-life images and movements of the game have set the standards even higher. In addition, when compared to Saints Rows, even their version two did no justice to the graphical animation as it had almost cartoon-like images. Today, with advancements in technology people want the best that they can get and Saints Row still falls behind when it comes to graphics quality. When it comes to giving something new to the public, Saints Row, yet again, lacks the qualities of a great game, as it depicts the typical themes of banding and shooting. Even though it is more improved than their previous edition, it still is not as pleasing. Grand Theft Auto presents a different story than the typical myths and tales and explains how a foreigner comes to America with a dream and stands up against every other American dream that there is. With a mission in mind, this game has a coherency that the public appreciates. Music plays an important part in a game since it tells of the mystery that lies ahead. Where Grand Theft Auto had more of a rap and hip-hop beat, it gave a new outlook to sounds as it had a talk back radio in it. Other genres included, classical, rock, southern and European and players becomes addicted to it at one point or other. 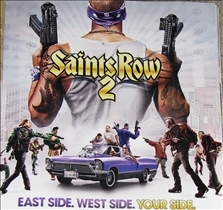 Saints Row gives a huge variety as well from metal, rap, alternative and classical, it has everything in it but there are no verbal connections with the player. 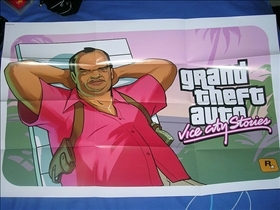 The producers of Grand Theft Auto, however, have designed its game to be communicative with the player. Grand Theft Auto is a carefully designed video game that promises to satisfy the player regarding all aspects and gives the player a lot more than Saints Row does including a promisingly bright future. With the newest additions of the game, you are given something new unlike Saints Rows. GTA not only exceeds in giving better graphics but also better sounds, music and a story to keep a track of. It tried to be a complete package for the users and makes sure that they know what video game perfection is all about. With every new edition that they release, GTA has always given the public something more exciting to experiment with every single time. Therefore, expectations with this game are high since it has given the ultimate paradisaical experience to video game lovers. Which game you are addicted to?